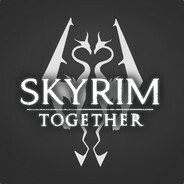 We are developing a ‘true’ Skyrim multiplayer mod that aims to build a co-op mod for the player to enjoy with companions called; Skyrim Together. It is a mod designed for a cooperative experience with 2 or more players, our current goal is to create a bug-free experience in where Skyrim can be played start to end without any major alterations to the vanilla experience. Great question & as soon as they lift their public info blackout I'm looking forward to see them answer that question. Don't you think it's a little ungrateful and unprofessional to write that you don't owe the fans anything, after they're supporting you for 18k a month? Why should we continue to support it? @[NEX] Mighty Maus: Butthurt much? @Lamron Apparently you're just as lazy at reading updates as even the link you posted says they've already gotten rid of the SKSE parts, so having to rewrite "Large Portions" Seems to be a Large exaggeration.